Generous Bangladeshis in Newcastle’s West End have dug into their pockets to help improve a local park. 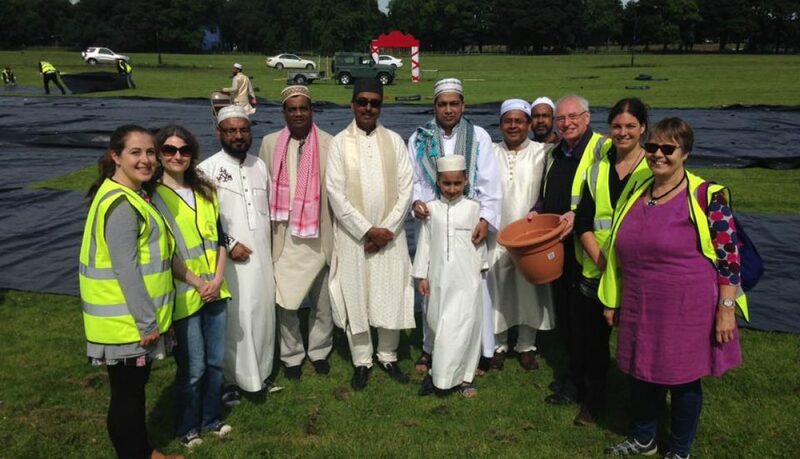 After gathering to mark the Muslim religious ceremony of Eid on Newcastle’s Nuns Moor in Arthur’s Hill today, the Bangladeshis contributed £482.13p to a collection organised by the local residents’ led Greening Wingrove Community Interest Company. 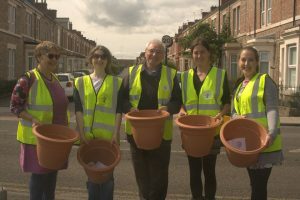 Local Wingrove Councillor, Nigel Todd, who also chairs the Greening Wingrove CIC, said: ‘The collection will be used to support a new volunteers’ group to help with planting and other improvements in the Nuns Moor Park. The Park is a local treasure, but due to cuts does need additional care and attention. We recently held a public meeting about the future of Nuns Moor Park where there was interest in forming something like a ‘Friends of Nuns Moor Park’ again. This could enable a range of organised volunteering activities such as planting, growing and supporting wildlife environments in the Park, as well as public events. Greening Wingrove has been working in the Nuns Moor Park to develop a community garden and orchard. It has restored a fire damaged and abandoned pavilion that is increasingly used for local social and educational events for children and adults.